The Hunna are back!!! Having sold out all previous shows on their first tour of 2019, it was only right that their biggest show, a headline slot at the prestigious Brixton Academy would sell out as well. Fans were lining up outside all day to get the best view in the house, some claiming they had been waiting since 8am! 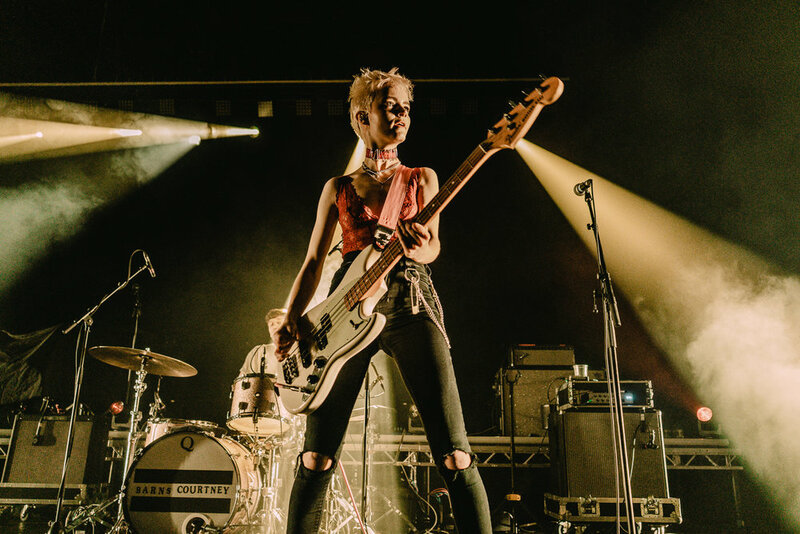 No doubt it would be worth the wait, but before The Hunna boys took to the stage there was the matter of warming up the crowd for the chaos that was set to happen later! This job fell on Scottish outfit Retro Video Club who took the massive stage in their stride, claiming that this was only the second time they had played in London was surprising by how well they took control of the audience. A mixture of Circa Waves and Catfish & The Bottlemen is a good way to describe Retro Video Club, huge indie anthems galore, tunes like ‘Addicted’ and ‘Psycho’ got the crowd moving like it was their favourite song even if this was the first time hearing it. 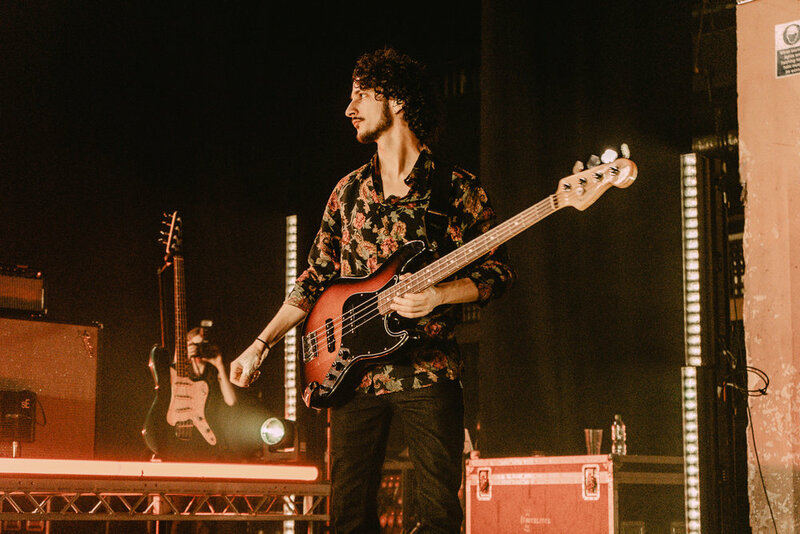 To keep the energy buzzing in the room, second support came from none other than the infamous Barns Courtney who’s known for raucous live performances and annoyingly catchy songs that forever get stuck in your head. Bouncing on stage like a young Mick Jagger, tasselled jacket flying everywhere, the crowd instantly lost their minds! 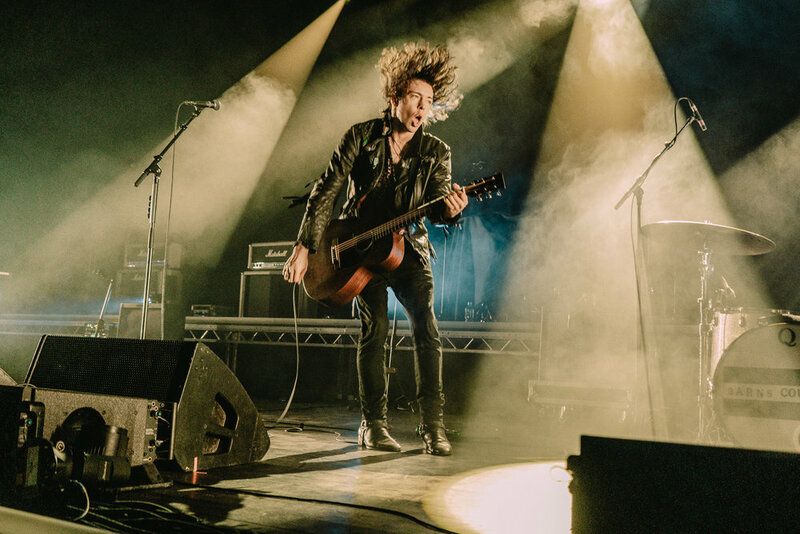 Barns Courtney has an infectious stage presence, it just makes you want to party like no one’s watching, with a mixture of indie, country, gospel and punk his music connects with pretty much everyone at some level. 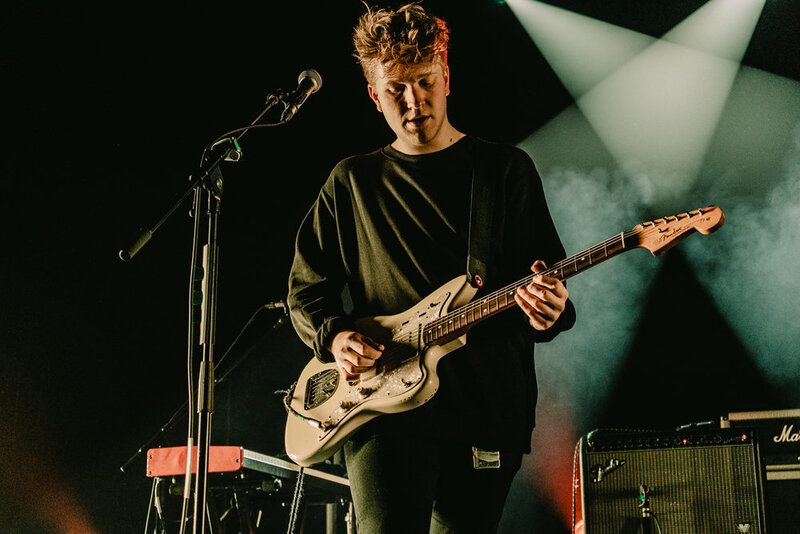 Giant songs like ‘Fire’ or ‘Kicks’ blew us away, it’s a completely different experience watching them being performed live over listening to them through headphones, at points it felt like we were watching a headline Barns Courtney show rather than a support slot with the amount of energy he put in! Fan favourite ‘”99”’ was by far the highlight, the whole room repeating the lyrics back to Barns as he stood like a modern-day messiah, long hair flowing in the wind!! As the room went dark, an ominous beat drum started, on the third or fourth beat the red lights came up, illuminating The Hunna’s logo on the back wall, as the boys walked out on stage to great their ever dedicated fanbase. 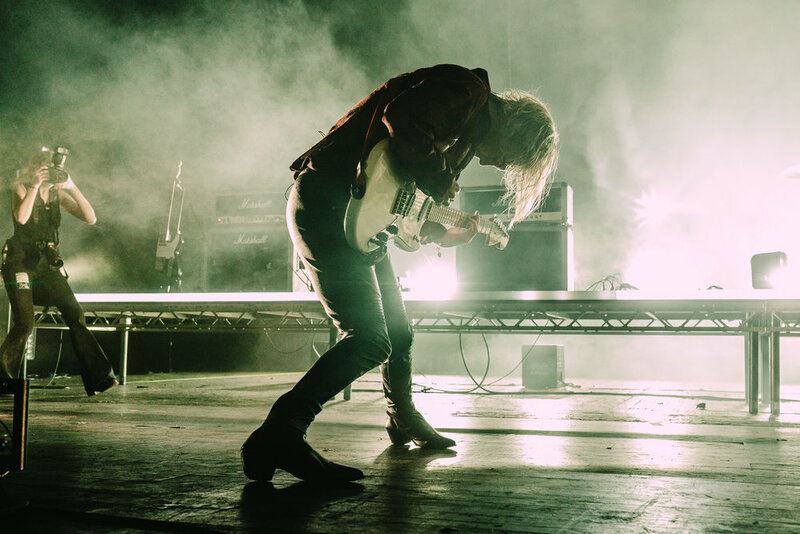 Blasting into huge single ‘FEVER’ from their 2nd album, the crowd lost what little sanity they had left after Barns Courtney, frontman Ryan smiled cheekily out at the room, it wasn’t just the fans that were glad The Hunna were back, you could tell that they were equally ecstatic. A few songs in, Ryan took to centre stage to play an acoustic rendition of emotional hit ‘Brother’ which brought a tear to our eye for sure. Before continuing with the show, they explained that the next song their former label had strongly expressed they should not include in their second album, little did they know it would be one of the most popular, it was of course none other than ‘Babe, Can I Call?’. This was followed up by mega hit ‘Piece by Piece’ which as you can guess got a humongous response; if you thought that was the craziest it could get then the crowd was not ready for the fast paced hard hitting ‘DARE’ which had mosh pits open up left and right. A quick-fire round of bangers came in the form of ‘Flicking your Hair’, ‘Lover’ and the extra crazy ‘Y.D.W.I.W.M’ before announcing that the next song of the evening was a new one from the bands third unreleased album, ‘I Get High to Forget’ got the reaction they were hoping for, every member of the crowd was singing the chorus back to them before the song was even close to being over! Finishing strong with breakout single ‘She’s Casual’ and equally loved single ‘Bonfire’, it was hard to hear the band over the volume that the fans were singing, we won’t lie we probably had a helping hand in that. 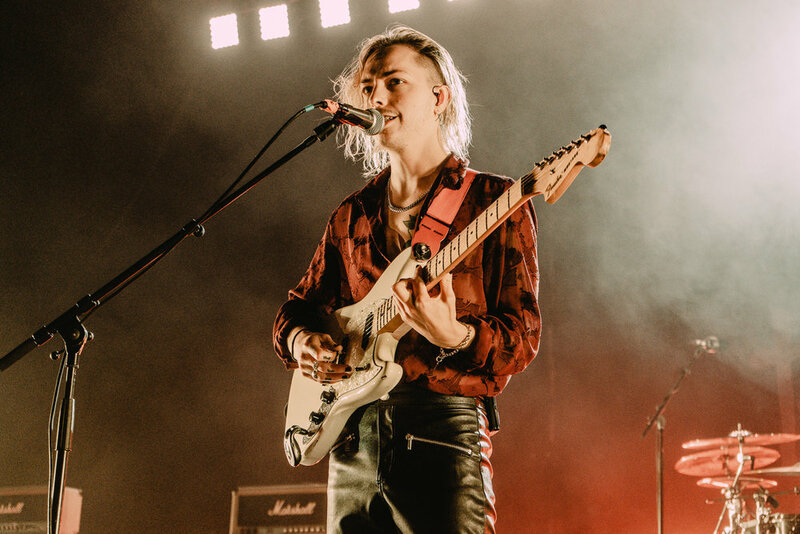 After a short break the boys came back onstage for a much needed encore, ending with ‘Never Enough’ blew the ceiling off Brixton Academy and solidified the fact that The Hunna were back and about to dominate the music scene with album number three!! !